The other day would be like any other day, where I’d log onto Twitter, share a few Sailor Moon tweets, read some messages and hop offline. 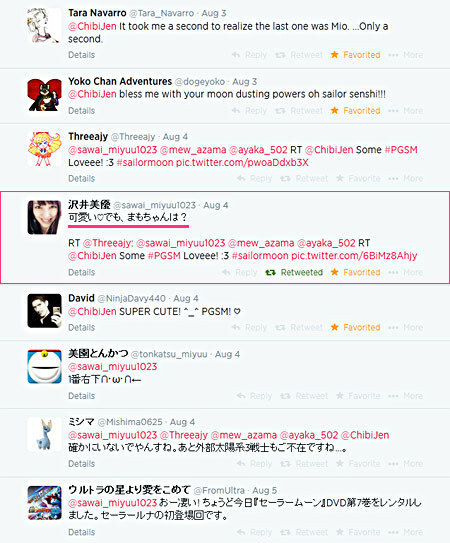 This particular day, I shared a drawing of the PGSM cast I had previously done (The live action version of Sailor Moon). Yes. Sawai Miyuu. 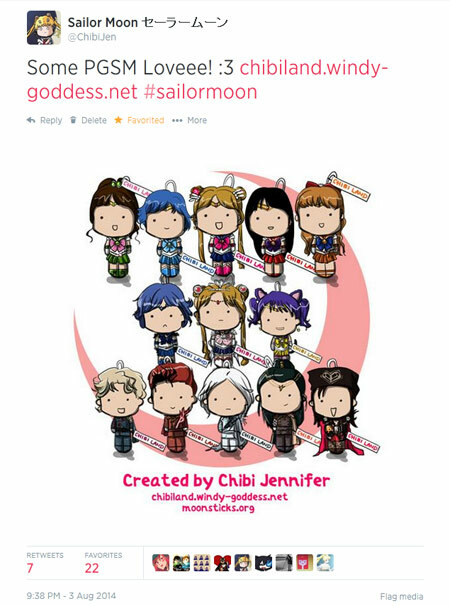 THE ACTUAL ACTRESS OF USAGI/SAILOR MOON JUST TWEETED TO ME :O :O :O :D :D!!!!! I wasn’t expecting to find much (if anything) related to Sailor Moon while in Japan, but I kept my eye out for them anyway :) As some of you may know, I don’t have much of a Sailor Moon collection.Â I wrote a little bit about it here when I bought my first Eternal Sailor Moon gashaphon. Other goodies I own include the manga (Chinese), some VCDs, stickers/cards, gifts from HK and Sailor Moon cels. (Bandai 2003) Second hand, box unopened. I love this one so much :3Â I’ve always wanted to own a Sailor Moon doll, and I’m glad this is the first “doll” I’ve ever had in my life XD (I never had any dolls as a child) I found this gem at a little old store in Mitaka on my way back to the station after checking out Ghibli Studio Museum.